This portrait is held by the Women’s Library@LSE, reproduced with the permission of the Josephine Butler Society. Josephine is wearing the black dress and white scarf that she habitually wore as a widow. She always wore a lace cap and sometimes preferred a white collar . She loved jewellery and always wore one of her collection of jet necklaces, sometimes ear-rings as well. 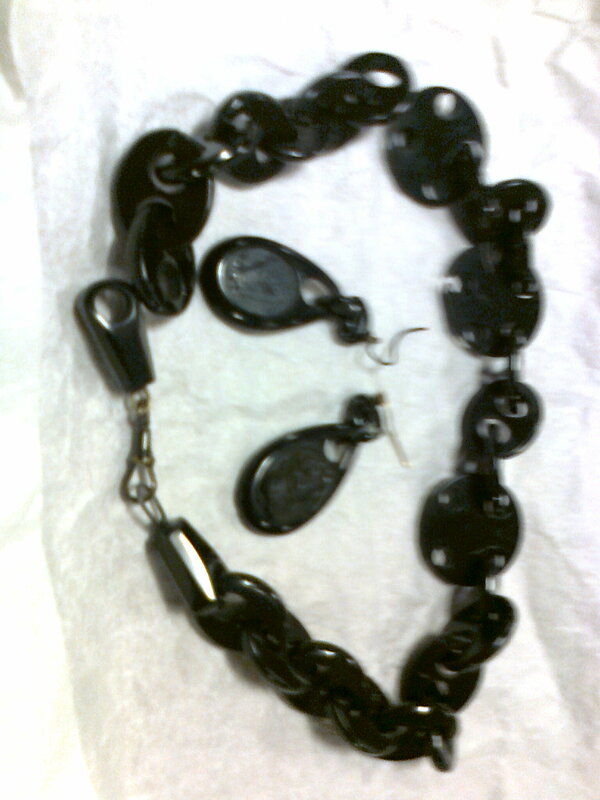 A set of her jet necklace and ear-rings can be seen in the Josephine Butler collection at Liverpool University Special Collections and Archives.